Welcome to Teknique Studios. We are a design house that specializes in custom design & development work related to printed and electronic media, web development and software development. Our range of services are designed to be integrated with one another to offer our customers a complete solution to their printed, electronic and online requirements. Starting a new business, or "re-inventing" an existing business? We will design a corporate identity with custom logo's, brochures, booklets, letterheads and document templates, both in printed and electronic form, as well as professionally designed signage to give your business a unique and professional look and feel. While lots of businesses operate successfully on more traditional and conservative business models, a well developed online presence is becoming increasingly important to stay competitive. Having a traditional, simple website may not be enough of an edge to keep up with your competitors. Customers have become accustomed to research, enquire and shop online, and they expect a website to be quick, responsive and engaging. We develop our customer's websites with modern creativity, responsive design and effective functionality to achieve a look and feel that represents the customer's business identity to its target audience in an engaging and professional way. From static websites with a modern clean design and websites that connect to databases to retrieve and store data to fully functional eCommerce web stores, we will design and develop a website that will meet our client's specific budget and requirements. 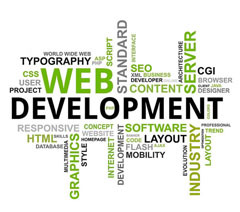 Our website design and development packages are customized around the needs of our include domain registration, website hosting, e-mail accounts, custom design templates, database driven applications, eCommerce functionality, flash animation features, CSS driven style sheets, java applets and a variety of core platforms based on PHP and ASP.NET. We also have our own dedicated web server located directly on the network backbone infrastructure of our hosting hosting provider. This enables us to host super-fast websites for our customers. The modern digital age of doing business have changed the way we collect, store and exchange information. The speed at which one business system exchanges information with another business system on the other side of the world is essential for modern businesses to stay competitive. For this reason it makes sense to connect and integrate online information systems with internal information systems within a business. We develop internal database driven Microsoft Windows software systems alongside online web applications into a single integrated solution that streamlines the speed, functionality and effectiveness of a business information systems. 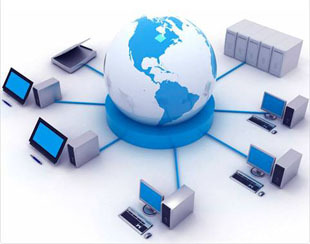 Our core business is developing software and web applications for desktop pc's. mobile devices and online platforms. These application may range from software programs like business financial systems, stock inventory systems and content management systems to web based applications that integrate with desktop applications using databases to store and manage data. Feel free to browse around, and let us know if we can be of any assistance via our Enquiry Form or use our Quotation Form to request an official quotation on any of our products and services. Should you require any assistance with a problem related to the products and services we offer, please use our Helpdesk Support Form.